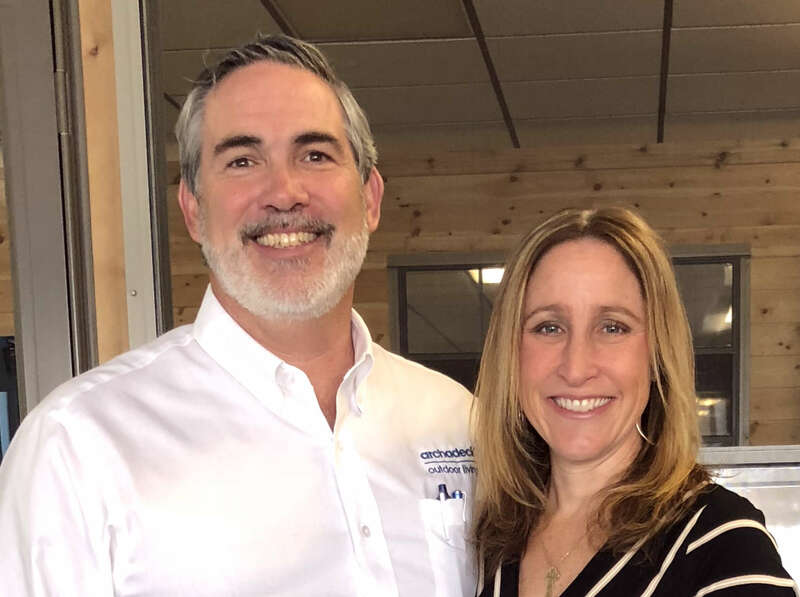 David Berryhill is designing affordable, functional and beautiful custom Chicagoland outdoor kitchens for his lucky clients in Chicago. Come spring, with one of my new custom Chicagoland outdoor kitchens, you just may be tempted to never cook — or entertain — indoors again. Chicagoland outdoor kitchen with everything, including the kitchen sink! 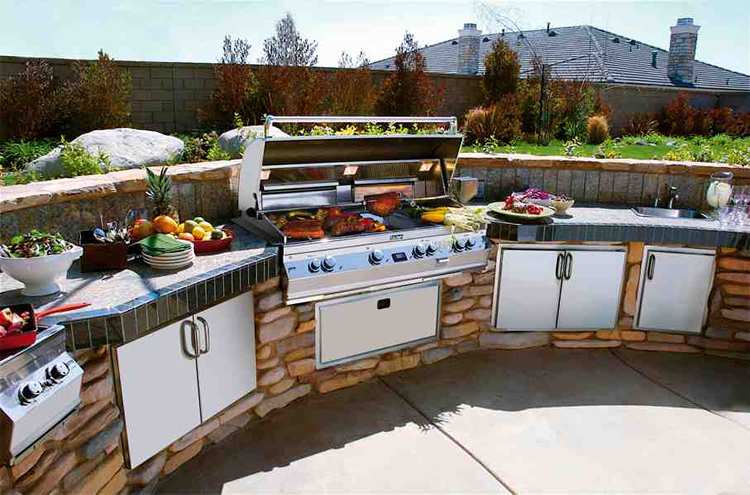 Archadeck of Chicagoland can now custom design a stunning outdoor kitchen right before your eyes — on your computer. That’s right. 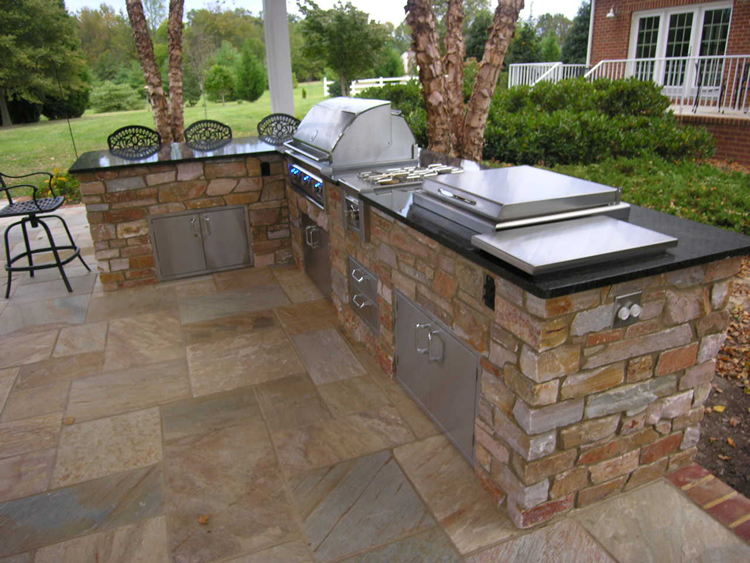 Our expert custom outdoor kitchen design team will meet with you online — right in front of your computer — to create a custom design plan that fits exactly what your looking for. For example, if you have a small Chicagoland patio but want big cooking and entertaining, we have a design for that. If you’re looking for a efficient and multi-functional outdoor kitchen to go under a Chicagoland covered porch, yes, we have a design for that, too. Visit one of our Chicagoland outdoor living design centers! 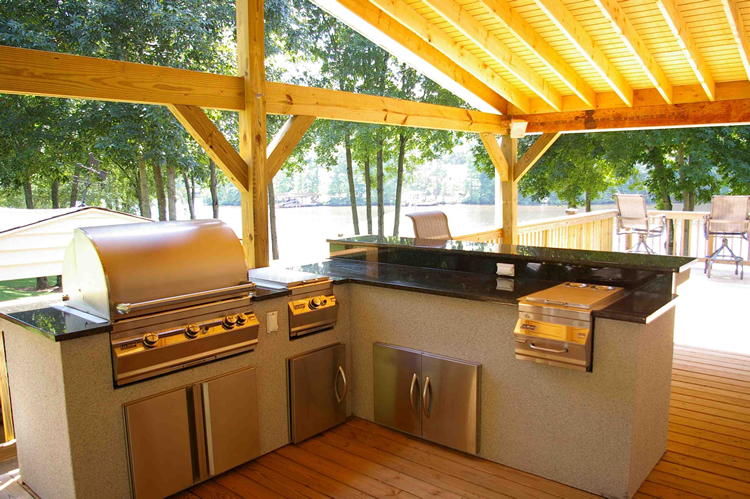 Need a big, expansive outdoor kitchen to cook up a big feast for a family reunion? Yes, you know that you’ve come to the right place…Archadeck of Chicagoland. 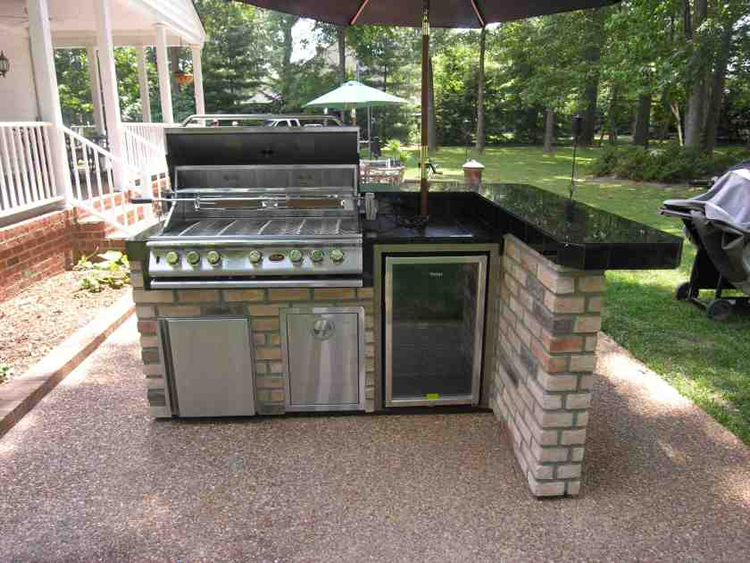 Here’s one of my personal favorites, a raised counter with bar stools connected to a highly efficient outdoor kitchen.